2019 will usher in higher loan limits for the two very popular no money down mortgage programs, the VA and USDA home loans. Each year, the Federal Housing Finance Agency reviews the national median home values in October and compares those very same values with the previous year. These higher loan limits affect conforming loans with the VA loan following suit, matching the conforming amount. The USDA Rural Housing loan does not have a specific limit on the maximum loan amount but does limit the amount someone can borrow based upon income, debt and household size among other factors. Both of these programs are especially useful for buyers, especially first time buyers, wanting to purchase a home with little to no money out of pocket. VA and USDA mortgages are both Government backed, and still require no down payment in 2019. The VA loan program was introduced in 1944 as part of the original G.I. Bill, originally named the Servicemen’s Readjustment Act of 1944. As the name implies, the Bill provided benefits for education, housing and employment to help soldiers returning from the war more easily assimilate back into civilian life. Today, the VA home loan program is one of the more popular, enduring features of the original G.I. Bill. Here are some of the benefits contained in the VA program. The VA home loan program does not require a down payment. This is perhaps its most popular feature as it gets eligible first-time buyers in homes sooner without having to wait to save up for a down payment. First time buyers have to save up their own funds or receive a financial gift from a relative or non-profit. The lack of a down payment means less cash to close. Borrowers are certainly able to come to the settlement with a down payment, but they’re not required to. 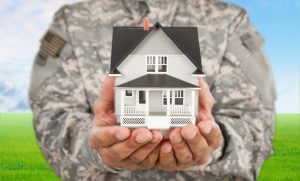 When borrowers do have a down payment, such as 20 percent of the sales price, there are other options like Conventional loans that fare better compared to a VA loan due to the presence of the Funding Fee needed for all VA mortgage programs. The loan guarantee is financed with the VA Funding Fee. The funding fee is expressed as a percentage of the loan amount and can vary based on different aspects of the transaction and loan type. For most transactions however, the funding fee is 2.15 percent of the sales price and does not have to be paid for out of pocket but instead rolled into the final loan amount. The loan guarantee is in favor of the lender. The buyers pay for the funding fee, but should the loan ever go into default the lender is compensated at 25 percent of the loss. The veteran is restricted from paying certain types of closing costs, further reducing the amount of money needed at settlement compared to other programs. What types of closing costs are considered “allowable?” the veteran can pay for an appraisal, credit reports, title insurance, origination fees, recording fees and a survey where required. Additional standard closing fees such as underwriting fees, documentation fees, loan processing or attorney fees must be paid for by someone other than the borrower such as the seller. The lender can also help out with an adjustment to the interest rate. VA loans are available in terms from 10 to 30 years for fixed rate programs. The longer the selected term the lower the monthly payment will be. Shorter loan terms won’t have as much long-term interest as longer terms, but the payments will be higher. Some borrowers initially select a 30-year term but can pay down the mortgage each month as though the term were a shorter one, such as a 15-year term. VA loans do not come with any type of prepayment penalty. The VA loan is a Department of Veteran’s Affairs loan program but it’s not just veterans that may be eligible. Others who may be eligible for a VA loan include active duty personnel with more than 180 days of service, six years of service in either the National Guard or Armed Forces Reserves and un-remarried surviving spouses of those who have died during service or as a result of a service-related injury. Eligibility is documented with the Certificate of Eligibility or “COE” The COE is obtained directly from the Department of Veteran’s Affairs. Either the veteran or the lender can make the request but it’s much easier to have the lender make the request. VA approved lenders have access to ACE, or Automated Certificate of Eligibility which can obtain the certificate same-day. 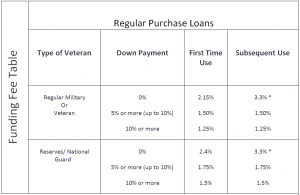 Even though the VA loan does not require a down payment the interest rates and terms are extremely competitive. And because there is no monthly mortgage insurance needed, borrowing power is boosted. Rates can change daily so it’s best to contact your loan officer for a rate update. Just like the VA loan, the USDA mortgage does not need a down payment which can get home buyers into their home more quickly without having to wait to save up any funds for a down payment which then translates into less money needed at the settlement table. The USDA program comes in the form of a 30 year fixed rate and the rates are very competitive. As with other programs, this rate can change daily based on market conditions. Like VA loans, the USDA does not set the interest rate and allows individual lenders to set their own. Just like VA loans, USDA also permits the home seller to pay the buyers closing costs. When a lender approves a USDA application it knows the loan is guaranteed in the instance of a default. Should the loan go into default the lender is compensated for the loss. The guarantee is in effect as long as the loan was approved using standard USDA loan underwriting procedures. Sometimes finding competitive financing options for homes located in rural areas can be difficult. Not so with the USDA home loan program. 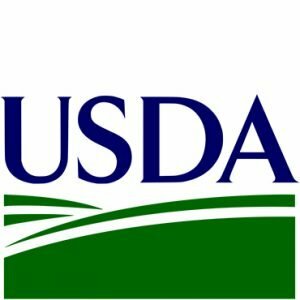 The United States Department of Agriculture first introduced the USDA loan in order to enhance the development of rural and semi-rural areas where traditional financing cannot be obtained or otherwise not competitive. The property must be located in an approved rural area according to the USDA eligibility map here. Potential buyers can contact us and provide the proposed property address to find out whether or not the zero-down USDA loan can be used. Many locations across the U.S., even certain suburbs are still classified as rural and approved for the program! 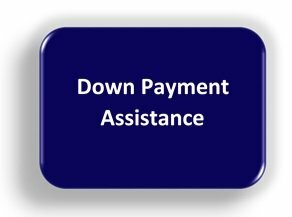 Another option for a down payment is to apply for and receive down payment assistance from a non-profit agency designed to assist homebuyers with money for a down payment and closing costs. For example, an FHA mortgage does require a down payment of 3.5 percent of the sales price and of course there are closing costs to consider. Down payment assistance can come in the form of a grant or a second mortgage that does not require a monthly payment. A grant means the assistance does not have to be paid back. A second mortgage used to help out with closing costs does have to be repaid when the property is sold but many programs waive this repayment if the buyers occupy the property for at least three years. Down payment assistance is typically funded through various city, county and state bond programs. Investors purchase these bonds which then provides the funds needed to help first time home buyers buy and finance a home in 2019. Home buyers that want to learn more about any of the programs above can reach out to us by calling the number above, or just fill out the Info Request Form on this page.